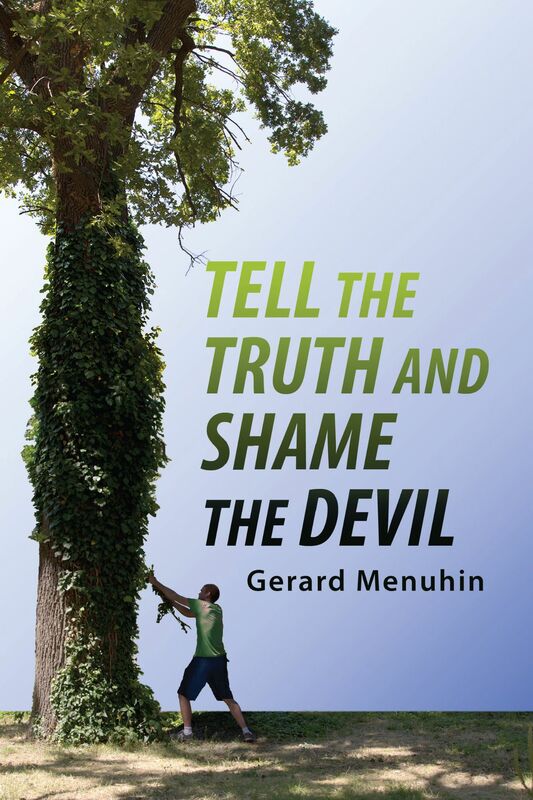 Menuhin Gerard Tell the Truth and Shame the Devil. Menuhin, Gerard: Tell the Truth and Shame the Devil. This book is of monumental importance for the people of the world today. Many know that something is not right in the world. Nations engage in perpetual war while bankers and armaments makers line their pockets from the carnage. The average citizen of the world has been cut out of the decision-making process of government, whether he lives in a democracy, republic, theocracy or dictatorship. All the while, the ruling elite grow stronger and richer, as the real producers struggle to survive. Behind the scenes, events are controlled by a coterie of ethnic puppet masters who work their marionettes in high places out of public view. How did this world get to the dark place it is today? Who could have stopped it and what can we do today? The book consists of four sections. The first section concerns Adolf Hitler, his character and intentions, and the real causes leading up to the outbreak of WWII, including the actions of the real culprits and the rejection of the great lie. The second section enlarges on the activities of the real culprits, provides a historical overview of their progress, their nature, their power over finance and the media, and the methods by which they achieved it. It includes insights into Freemasonry, the European revolutions, the influence and control of education and foreign policy, the creation of the EU, the New World Order and the evolution of the plan through the same powers and their proxies, since the 17th century up to the present. The third section concerns the First and Second World Wars (what the author refers to as “the Second Thirty Years War”), their conception, funding and inescapable continuity; current laws against freedom of expression, and the evolution of the Orwellian state; the importance of U.S. support for the Soviet Union throughout the Cold War, and Communism’s significance in the plan; the true origins of the enemy; Palestine’s occupation and its fate as an example of our common fate; plus much more. The fourth section identifies the true origins of the enemy, and Palestine's occupation and its fate as examples of our common fate. The text is interspersed with “Memos from Today,” that emphasize its relevance by citing current events. Hundreds of quotes are included from a wide range of authoritative sources, original and translated. The last pages of this manuscript comprise conclusions and predictions. The narrative is dense and packed with facts, and backed by expert testimony. At times, the style is personal, even casual, and absolutely non-intellectual. It has been assumed that a personal touch makes the contents more accessible. The author is the son of the great American-born violinist Yehudi Menuhin, who, though from a long line of rabbinical ancestors, fiercely criticized the foreign policy of the state of Israel and its repression of the Palestinians in the Holy Land. Read it. Think about it. Pass it on. Buy more copies. This is a book that can make a difference.